Ever wanted to go on long bike rides and wanted to use your cell phone as an mp3 player or just wanted to use it extensively to talk to someone but have not thanks for fears of low battery. 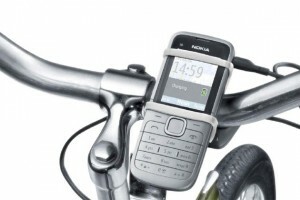 Well Nokia just answered your prayers with its first ever bicycle charger. 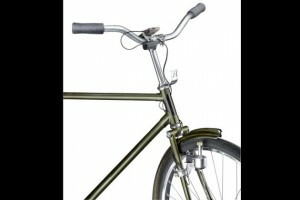 Now long rides on bicycles will never be a problem. 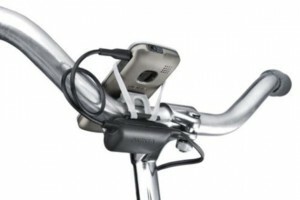 The kit consists of a charger, a dynamo and a holder to secure the phone to the bike. All you have to do is hook up your phone to the kit and peddle to let the dynamo produce electricity and charge your phone. It is pretty inexpensive at about 15 euros and the kit will be available later this year in Europe. An estimated date for US and other nations has not been released yet but that should not be far. Europeans have a lot of bicyclists and that could also be a reason for a Euro release. The dynamo which is basically a small electrical generator generates electricity from the movement of the wheels and charges the headset with the standard 2mm charging jack. The kit is designed to resist humidity and dust so there are little or no limitations for its rugged use. I might just get one for myself when its out! It sure can be an argument that with latest technology, batteries have lasted and are giving out more life time before needing a recharge. But certainly this is a great gadget for long hiking trips where the chances of finding a power socket on a tree are unlikely!